COGS hosted Graduate and Professional Student Appreciation Week (GPSAW) from April 1-7, offering free treats, giveaways and events for the graduate and professional student body. 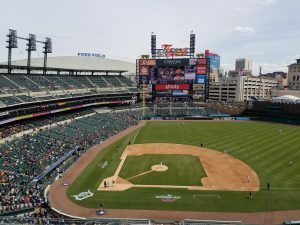 Graduate and professional students enjoyed an opening-weekend Detroit Tigers game at Comerica Park on Sunday, April 1. On Monday, Sparty’s locations offered 50 cent small coffee or beverages with the use of a COGS coupon. 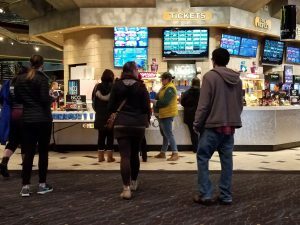 Tuesday, COGS hosted Theatre Night, featuring a discounted showing of Ready Player One at NCG Cinemas. The theater was packed with 72 graduate and professional students. Harrison Roadhouse offered free wings and appetizers on Wednesday. 96 graduate and professional students enjoyed the event. Thursday, students relaxed in the Chittenden Hall Lounge with free 15-minute massages. 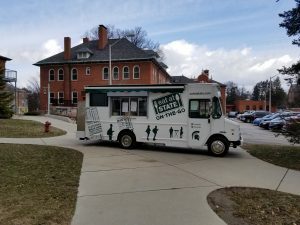 On “Foodie Friday” the Eat-At-State food truck stationed itself outside of Chittenden Hall, offering $6 lunch combos to students. The COGS office also gave away free MSU Dairy Store ice cream coupons. GPSAW came to a close on Saturday, April 7 with free ice skating at Munn Ice Arena.